It's always nice to have an iPhone app that you can whip out and blow someone's mind with. 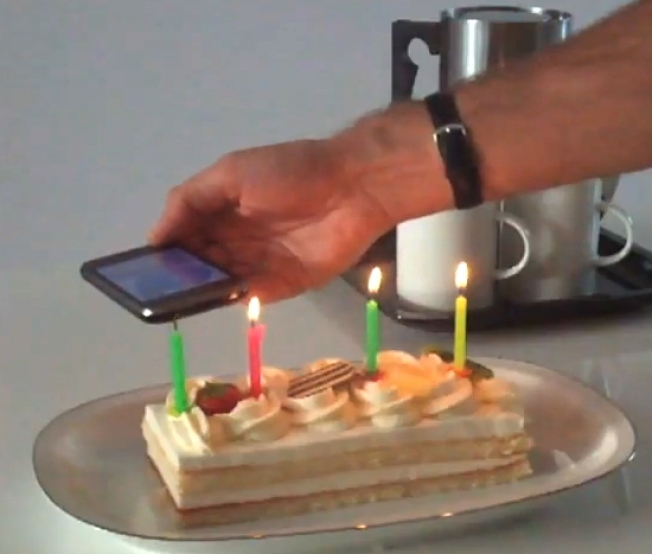 Now you can do so literally with the new Blower app, a piece of software designed to allow you to blow out candles or cool your forehead with your smart phone. In much the same way that the Smule app depends on air being forced into the iPhone, the Blower app forces air out of the phone's speaker. An onscreen graphic shows a virtual turbine revving up every time you use the app, which is accompanied by a somewhat convincing mechanical whine. You can see the app in action here and download the app on the iPhone App store here.